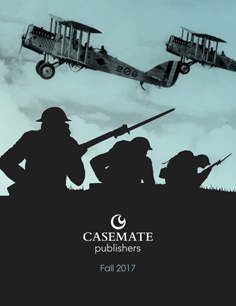 It is with profound sadness that we at Casemate have learned of the passing of Robert L. (“Bob”) Tonsetic, one of our most accomplished authors and also a friend. Bob’s life was remarkable by any standard as he served multiple tours in Vietnam, beginning with combat operations in 1964 and extending to an advisory role with South Vietnamese Rangers once the bulk of U.S. troops had withdrawn. After his Army career he earned a Ph.D. and taught higher education, while becoming a noted author. His first book, “Warriors,” was a personal memoir of his time in Vietnam. Then came his hugely acclaimed “Days of Valor: An Inside Account of the Bloodiest Six Months of the Vietnam War,” in which he shifted gears into objective history. During a time when many works on Vietnam described a gonzo period of failure if not anarchy, in “Days of Valor” Bob Tonsetic unveiled the remarkable record of unmatched sacrifice and heroism that more typified the frontline soldiers of that war. His third book, “Forsaken Warriors,” described the enormous challenge taken on by a few remaining U.S. advisers to prepare the South Vietnamese to stand alone, once the U.S. public if not its armed forces had abandoned the conflict. In a remarkable transition, Bob subsequently turned his narrative and research skills toward examining America’s War of Independence, beginning with “1781: The Decisive Year of the Revolutionary War,” followed by “Special Forces in the American Revolution.” He was about to embark on a third book on significant figures in the Revolution when he was overtaken by illness. A total gentleman as well courageous combat leader, scholar and renowned author, Bob Tonsetic was also a friend to us at Casemate as well as the beloved husband of his wife Polly and father of his sons Mark and Michael. Robert L. Tonsetic, Colonel, U.S. Army (Retired), passed away peacefully at his home on Sunday, 3 April 2016 in Easton, MD. He was 73 years old. Born in Braddock, PA, Col. Tonsetic graduated from the University of Pittsburgh in 1964 and joined the U.S. Army as a Second Lieutenant. He continued to serve as an infantry officer for twenty-seven years, with multiple combat tours during the Vietnam War. He was awarded the Distinguished Service Cross, Silver Star, and Bronze Star for his actions and leadership in 1968 and 1970, which included a pivotal role in the Tet Offensive. Upon retirement in 1991, Col. Tonsetic acquired a Ph.D. in education, and served as an adjunct professor at the University of Central Florida until relocating to Easton in 2003. He authored three memoirs on his service in Vietnam as an infantry officer and advisor to a South Vietnamese Ranger battalion, as well as two historical accounts of the American Revolution. In 2014, he was inducted into the U.S. Army’s Ranger Hall of Fame, at Fort Benning, GA. He was also a member of the Legion of Valor of the United States of America. He is survived by his wife of 43 years, Polly Tonsetic of Easton, MD; by his sons Mark Tonsetic of Alexandria, VA, and Michael Tonsetic, of Winter Springs, FL; his daughters-in-law Maureen McNulty and Kristin Tonsetic; and his three grandchildren, Mitchell, Miranda, and Sophia. Funeral services will be held later this year at Arlington National Cemetery. In lieu of flowers, donations may be made to Talbot Hospice (www.talbothospice.org). From left to right: General (Ret) William F. Kernan, Colonel (Ret) Robert L. Tonsetic, Commander Sergeant Major Charles Albertson. Robert was one of ten Army Rangers inducted into the US Army Ranger Hall of Fame on July 16, 2014 at Fort Benning.